all types of vintage toys & games etc. 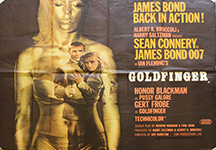 to include original James Bond cinema posters etc. Original Quad Cinema Poster : Hot Shots!